We provide Chemist, Chiropodist, Optician, Doctor, Dentist, Hairdresser, Laundry and Banking Services here. DOCTORS & DENTISTS - You can use your own Doctor and Dentist if they are willing to come here. 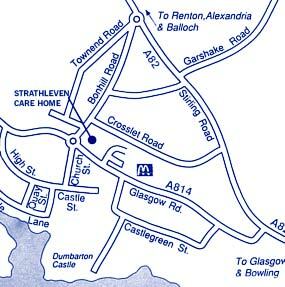 If you are from outside this area we can arrange a local GP and Dentist for you. When consulting you will normally be accompanied by a member of staff. Medicines which you bring with you should be given to the Manager on arrival here. They will be recorded and dispensed at the appropriate time. HAIRDRESSING - A hairdresser visits weekly for both men and women but if you prefer your own to visit here that's fine. Hairdryers and curling tongs are available for your use at any time. 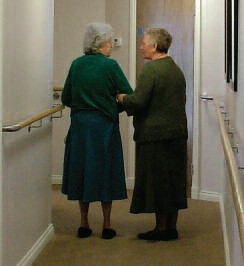 NEWSPAPERS are delivered daily morning and evening. SMOKING is only allowed in designated areas but we can accommodate individual arrangements. Meals can be served either in the Dining Room or in your own room. We have a varied menu and new suggestions are welcomed. 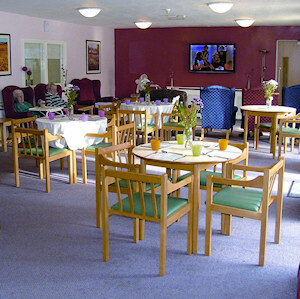 24 hour service is available for drinks, biscuits or snacks or just a chat with our caring staff. Most special dietary requirements can be accommodated.